The implications of early experience for children’s brain development, behavior, and psychological functioning have long absorbed caregivers, researchers, and clinicians. The 1989 fall of Romania’s Ceausescu regime left approximately 170,000 children in 700 overcrowded, impoverished institutions across Romania, and prompted the most comprehensive study to date on the effects of institutionalization on children’s wellbeing. 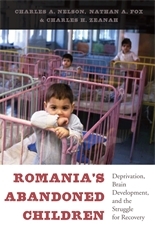 Romania’s Abandoned Children, the authoritative account of this landmark study, documents the devastating toll paid by children who are deprived of responsive care, social interaction, stimulation, and psychological comfort. The study found that the institutionalized children were severely impaired in IQ and manifested a variety of social and emotional disorders, as well as changes in brain development. However, the earlier an institutionalized child was placed into foster care, the better the recovery. 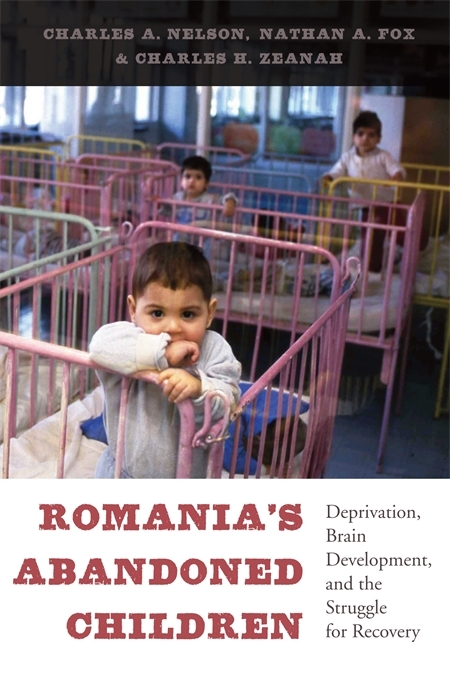 Combining scientific, historical, and personal narratives in a gripping, often heartbreaking, account, Romania’s Abandoned Children highlights the urgency of efforts to help the millions of parentless children living in institutions throughout the world.